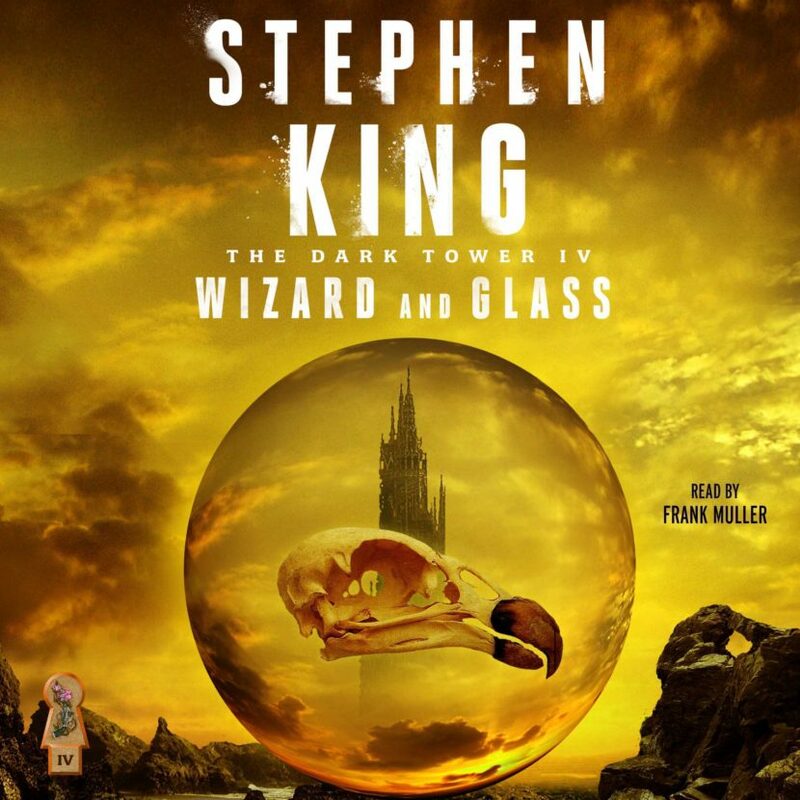 With a title like “Wizard and Glass,” readers perhaps assumed that the fourth “Dark Tower” book would feature a continuation of the “Mad Max” meets “Lord of the Rings” narrative that finally moved ahead in the series’ prior book. Such an assumption was largely wrong though, as most of “Wizard and Glass” was composed of an old-fashioned western story told in flashback that featured a younger incarnation of the saga’s main protagonist, Roland. Roland and two of his teenage gunslinger colleagues rolled into an out-of-the way town as part of a law enforcement group doing a routine check-in and it became apparent that something nefarious was afoot in the town. Before that flashback began though, there was immediate business to handle. As promised by Stephen King in the afterward of “The Wastelands,” “Wizard and Glass” opened with the resolution to a cliffhanger. Eddie Dean surprised everyone by being the person who ultimately defeated Blaine the Mono in his riddle contest, doing so by offering up childish jokes that the computer could not handle. After Blaine short-circuited, Roland and his party found themselves in a strange version of Topeka, Kansas. This version of Topeka apparently came from the world that existed in Stephen King’s “The Stand” and, as was the case in that world, influenza had killed off much of the population. After leaving Topeka, the group made camp next to a ‘thinny,’ the name that Roland used to describe holes that had begun appearing between dimensions. The novel’s focus then shifted for the bulk of its story as Roland recalled the first time that he ran across a ‘thinny’ while still a young gunslinger. Via flashback, readers spent the next several hundred pages following the teenage Roland in that tale. Young Roland had come across his mother having her affair with the villainous Marten, the event relating back in “The Gunslinger” that led to him becoming a gunslinger ahead of schedule. After Roland lost his virginity to a local prostitute, he was sent away from his home of Gilead by his father as a way to protect him from the rebel forces of John Farson. Farson was a political revolutionary who had been causing upheaval in Roland’s world. Farson’s greater motive though was in simply working as a henchman of the Crimson King, carrying out activities not unlike the disruption caused by the Man in Black. To be clear though, Farson was a different individual than the Man in Black and not another of that character’s aliases. Roland was joined on his assignment by Cuthbert Allgood and Alain Johns, with the three of them making their way to the Barony of Mejis. Rather than serving as a safe haven, Mejis turned out to be led by people in authority who had aligned themselves with John Farson. The ‘glass’ in the novel’s title referred to a magic crystal orb that was on loan by Farson to a witch in Mejis. Near the end of the story, Roland encountered the orb and it gave him glimpses of his future. It also gave him the knowledge that the Dark Tower was a real location that the other gunslingers had kept a secret. Learning that knowledge marked the beginning of Roland’s obsessive quest to reach the Dark Tower. The novel wound down back in Kansas with Roland and his party of Eddie, Susannah, Jake, and Oy all encountering a twisted version of the Emerald City from “The Wizard of Oz.” The Wizard inside the city turned out to be Randall Flagg, the antagonist from King’s novel “The Stand” and another alias of the Man in Black. Flagg escaped after nearly being killed by Roland, but the ‘glass’ from the Mejis story re-appeared and shared with Roland’s companions the aftermath of the episode in Mejis. The ‘glass’ had been delivered by young Roland to his father but his mother ended up becoming possessed by it and she was accidentally killed by Roland. Despite the increasing realization that associates of Roland often ended up dead, the members of Roland’s party decided to keep going on with him along the beam that would presumably lead them to the Dark Tower. “Wizard and Glass” was perhaps the strongest novel yet in the “Dark Tower” series, not only providing closure to the third book but also diving deeply into Roland’s mysterious past. Mejis provided a perfect landscape for a quasi-‘western’ setting and the mystery behind the alliances of its ruling citizens was just intriguing enough to keep the story moving. The romance between Roland and Susan was the star of the book though, with some scenes between them being white-hot. The fact that the romance would end in tragic fashion was no surprise and that result was handled in deft fashion by King. Given the otherwise leisurely pace of the story, a fair amount of information was thrown at readers in the final few chapters. The awesome action scenes were brief but satisfying and the catalyst for the birth of Roland’s obsessive quest felt just right. Randall Flagg’s appearance at the very end of the story gave King the opportunity to tie “The Stand” to the “Dark Tower” universe. Flagg’s appearance and his ties back to the Marten character, along with the reappearance of the glass, provided a coda of sorts as readers learned the final fate of Roland’s mother. Readers had begun to learn how people mentioned in Roland’s early life had dropped out of his later life, one by one, and how he had become the tragic figure whom they met in the first book of the series. The quest continued, as if powered by something greater than merely Roland’s will.